Efficient use of space and time are vital to the success of any professional kitchen. 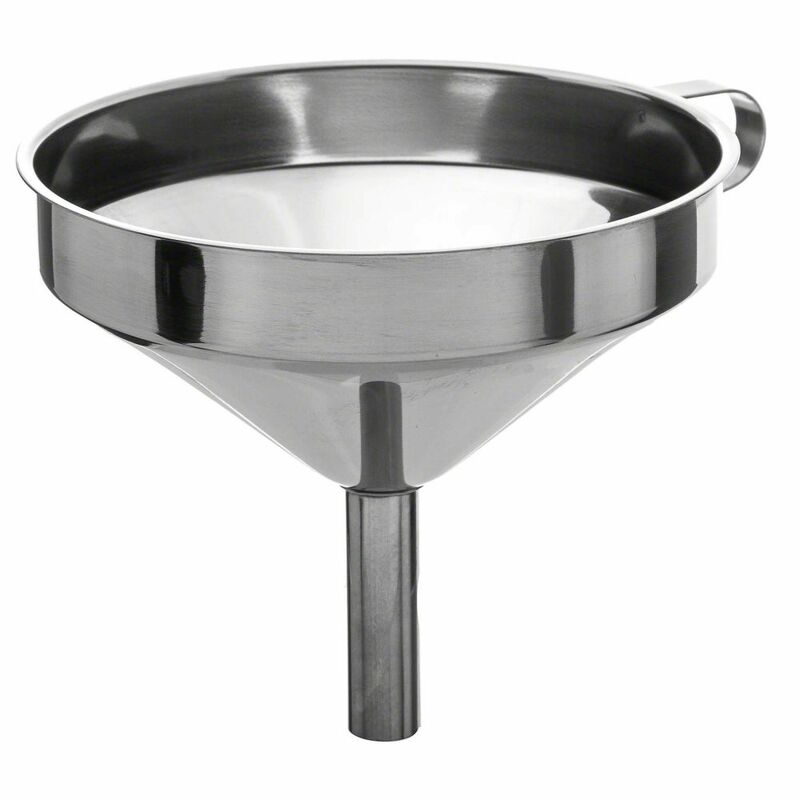 When transferring food from one area to another, it is essential to complete the task without a large amount of hassle or mess. 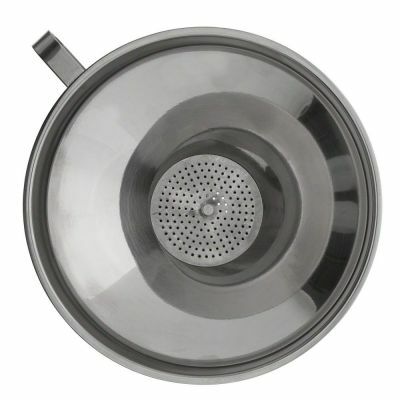 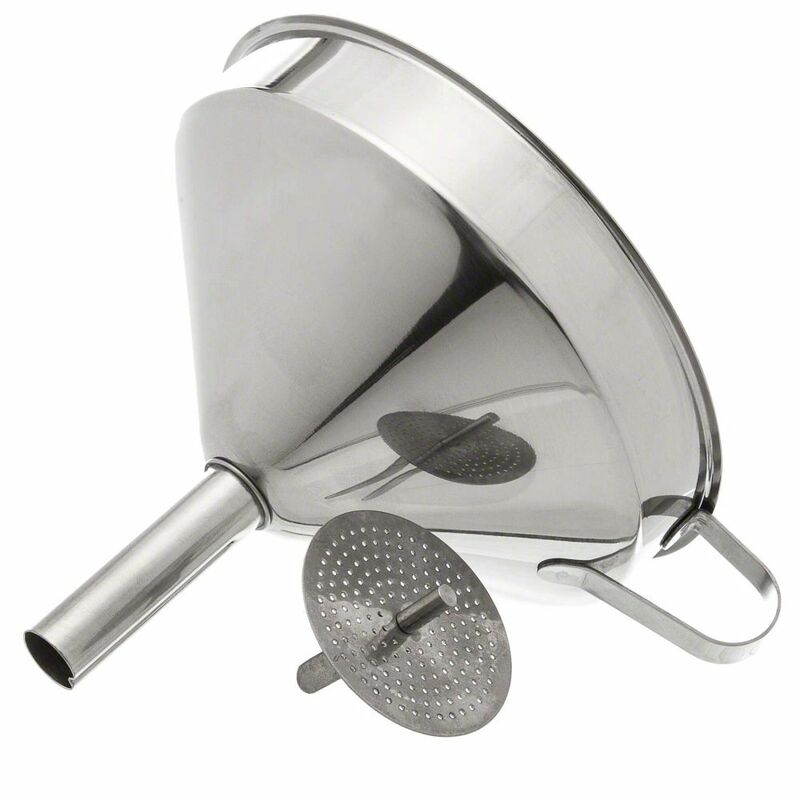 This stainless steel, durable funnel is a simple but important device used in such endeavors.